Tismo Products BV, based in The Netherlands, has rapidly been setting new trends when it comes to industrial print personalisation, thanks to their investment in an Acuity Advance Select wide format printer with Uvijet KV inks, and the creative forward-thinking of Hendre Vos and co-owner Jeroen Maessen. An experienced entrepreneur and passionate marketeer at heart, Hendré is constantly looking at new opportunities that would allow the business to expand. He was, for example, also the person who developed the patent for digital imaging transferable technology to transfer images onto 3D objects in 2003. Tismo Products BV has built a strong working relationship with Fujifilm over many years through its screen printing arm, Mazon Screen. 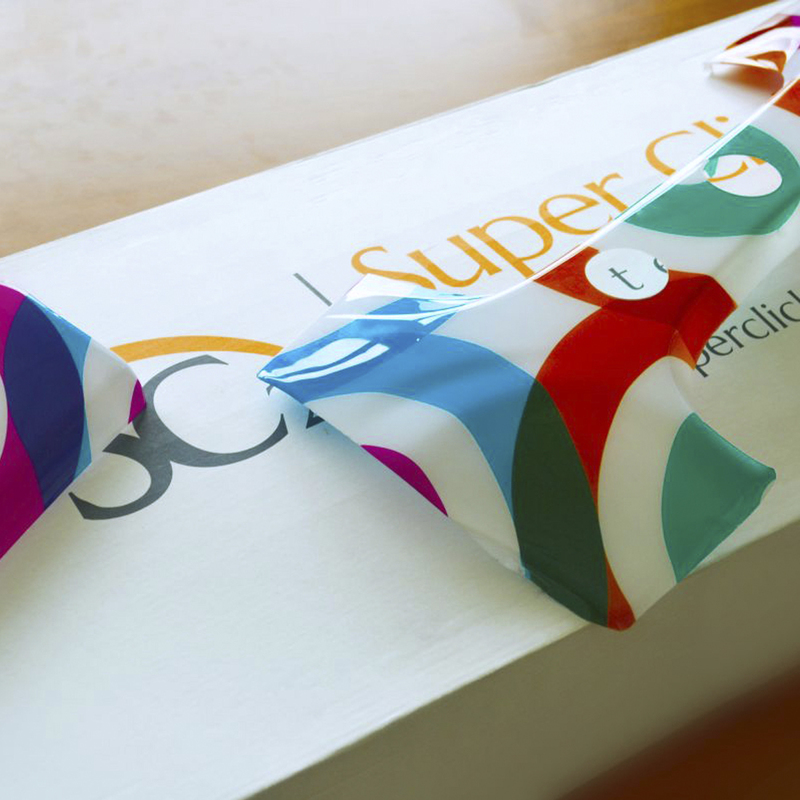 So, after Hendré and Jeroen finalised their business plan to launch Super Click Covers, they approached Fujifilm to see if the company was able to help them create a solution that could deliver exactly what they required. 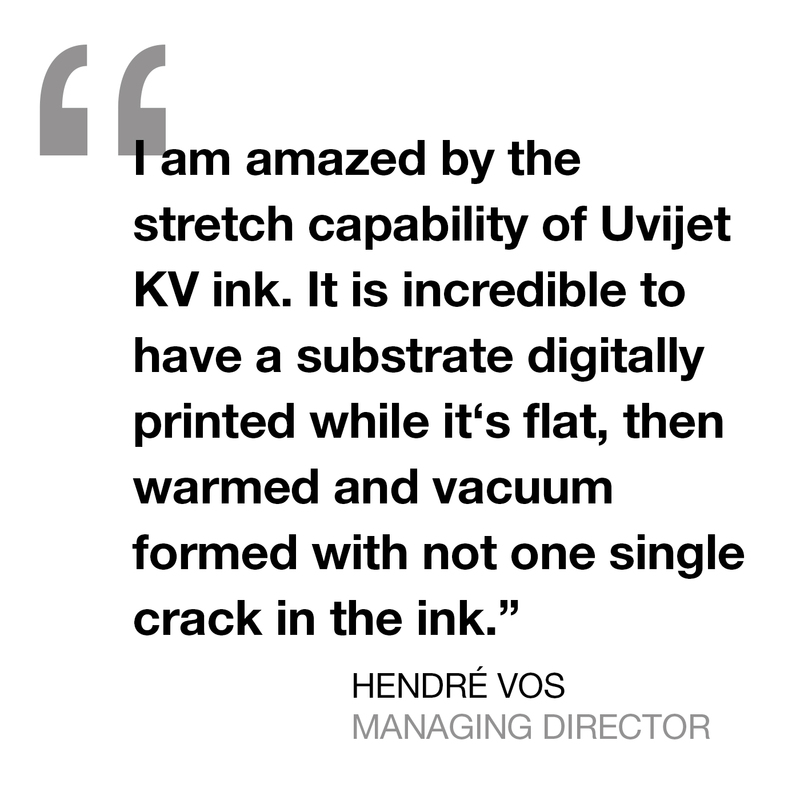 Fujifilm’s Uvijet KV ink has been designed specifically for use with its renowned Acuity Advance Select mid-range flatbed printers. 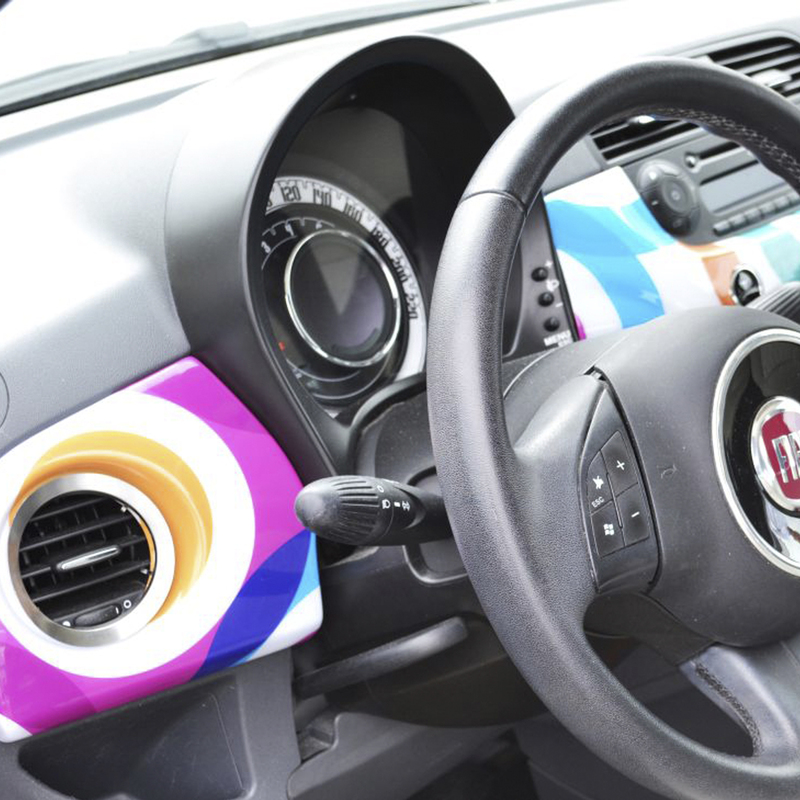 Unlike other UV inks, these inks do not crack or flake during the thermoforming process, and yet maintain the high quality, vivid colours and excellent performance expected from a Fujifilm ink, without any compromise to the print speed. 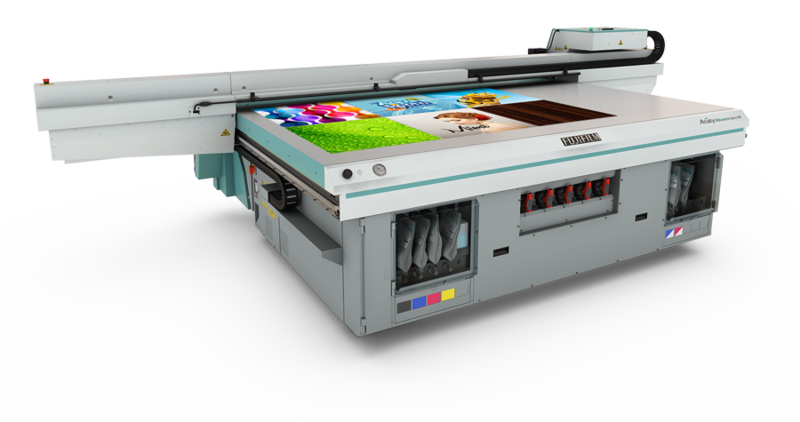 Tismo Products BV bought and installed an Acuity Advance Select from Fujifilm in March 2014, and continued rigorous testing of the Uvijet KV ink over the following two months. During this time, Fujifilm’s engineers were constantly on hand to provide the necessary support and fine-tune the thermoforming system. Hendré is delighted with the end-result and what they can now achieve with the thermoforming offering from Fujifilm. “I am absolutely amazed by the ink’s stretch capabilities. It is just incredible to have a substrate digitally printed while it‘s flat, then warmed and vacuum formed with not one single crack in the ink. With elongation properties well in excess of 300% when heated and returning to normal when cooled, it’s pure rocket science! Super Click Covers took its first orders for personalised Mini car dashboards in May 2014. The popularity for these has grown so rapidly that the company is producing a range of car model dashboards five days per week for customers across Europe. Orders are placed through its configured online portal, which allows users the opportunity to easily design and personalise their order. Ever the entrepreneur, Hendré has since developed a number of other applications that open up new revenue streams. Personalised cycle helmets have been proving just as popular, while wheelie bins – thermoformed and printed to fit in with the rest of the environment – will be transforming the look of rubbish and recycling areas across The Netherlands soon.